Scrutiny: Tusshar Kapoor celebrates Christmas with the kids..
Tusshar Kapoor celebrates Christmas with the kids.. Smile foundation had the most amazing Santa Claus come down to them to celebrate the festival of happiness. 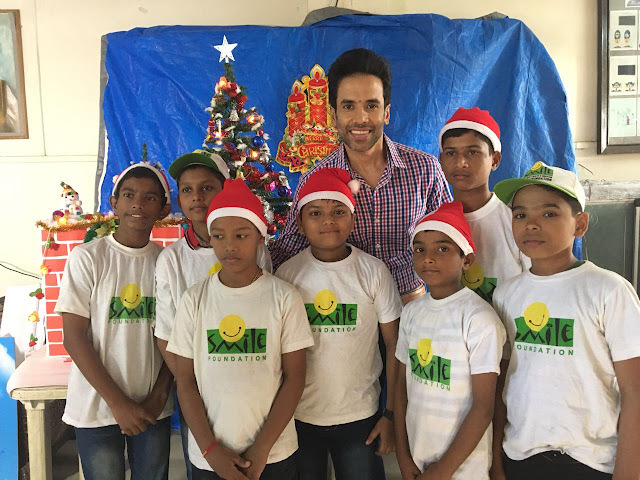 The Golmaal actor, Tusshar Kapoor had an amazing time with the beautiful kids. The celebration started with a Puja. Tusshar being one of the humble soul started interacting with the Children.